Hyundai and Toyota have key product debuts during the New York auto show press days on Wednesday, April 16, and Thursday, April 17. In the mid-sized sedan segment, Hyundai will unveil its 2015 Sonata, while Toyota offers an unusually aggressive midcycle freshening of the Camry, the best-selling car in the United States. BMW will debut the X4 crossover while Mercedes-Benz premiers the S63 AMG coupe, a high-performance version of the S-class coupe. VW will show a refreshed Jetta sedan and Land Rover plans to unveil a concept for its new Discovery range. Here are some key debuts. Acura will unveil the production version of the TLX sedan, which will replace the TL and TSX. Acura showed a concept version of the TLX at the Detroit auto show and disclosed most pertinent mechanical details about the car there. In New York, Acura will show a retail-ready car that has been mildly softened from the concept version. The Honda Accord-based sedan goes on sale in early summer. The X4 crossover with coupe styling makes its debut. The X4, a smaller version of the X6, is being built in Spartanburg, South Carolina, and goes in sale in June. It will be offered with two turbo engines, a 240-hp 2.0-liter four cylinder and a 300-hp 3.0-liter inline-six. Both powerplants are combined with an eight-speed Steptronic sport automatic transmission with shift paddles and all-wheel drive. The high-performance BMW M4 convertible also will premiere. The two-door drop-top arrives in U.S. showrooms late this summer. It is powered by a turbo 3.0-liter inline-six engine that generates 425 hp and 406 pounds-feet of torque and can be combined with a six-speed manual or seven-speed double-clutch transmission. The refreshed 2015 Cruze compact debuts, featuring revised exterior styling, interior improvements and greater connectivity. The Cruze's exterior has a dual-port front fascia that takes cues from the Malibu and Impala. Interior changes include voice controls for responding to text messages and Apple Siri integration. Chevrolet also will roll out a convertible version of the 2015 Corvette Z06. Dodge will show refreshed versions of its Charger and Challenger. Automotive News reported in September that the Charger would get extensive exterior updates and the Challenger a much-needed interior reboot. Ford will show the freshened Focus sedan and the Focus Electric, following the debut of the hatchback version at last month's Geneva auto show. 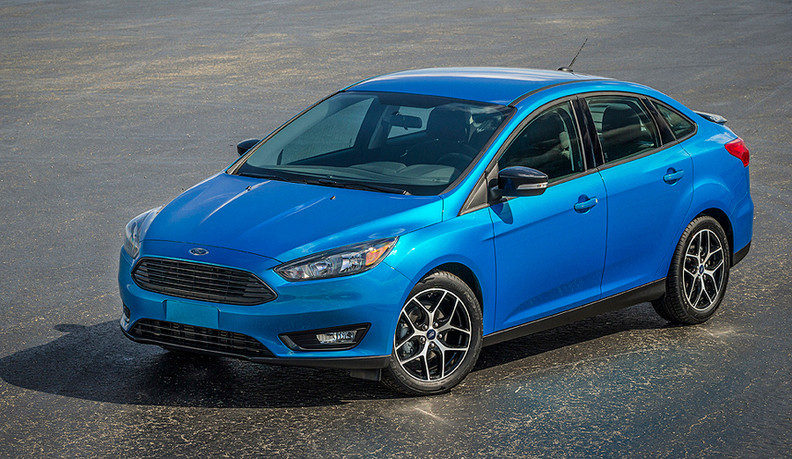 The Focus features a restyled hood and grille, LED lighting for headlights and taillights, new rear light clusters and a restyled trunk lid. Ford will offer the 1.0-liter EcoBoost engine with a new six-speed manual transmission as an option. The Focus gets new technology as well, including a rearview camera and optional blind spot and lane departure warning systems. 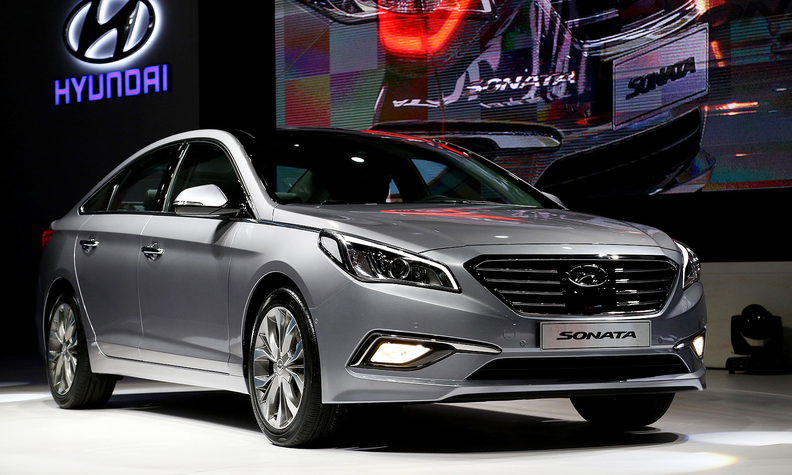 The re-engineered 2015 Sonata mid-sized sedan will make its public debut after being shown to media late last month in South Korea. The 2015 Sonata's sheet metal and interior are new, but the car's platform and powertrains are expected to be largely carryover. Hyundai has said the seventh-generation Sonata will be more refined than its predecessor. Infiniti will reveal a long-wheelbase version of the 2015 Q70 sedan, badged the Q70L. The Q70, formerly marketed as the M, also will receive a restyled front and rear, and a conversion to LED front lighting for headlights, fog lights and turn signals. The Q70L wheelbase will be six inches longer, all of it devoted to rear seat legroom. Infiniti also will show the 2015 QX80 SUV with restyled front and rear and complete LED front lighting. An additional ultraluxury package, with limited-edition wood and quilted leather interior and dark-tint exterior trim, will be shown. Kia will show a redesigned Sedona minivan that rides on a new chassis and is powered by a 3.3-liter direct-injection V-6 engine. The vehicle will have an updated version of Kia's UVO infotainment and telematics system, as well as advanced safety features. It is expected to go on sale in the second half of this year. The Discovery Vision Concept SUV debuts. Land Rover said it will build a family of vehicles using the Discovery name. The new Discovery range likely will use Land Rover's lightweight aluminum architecture. The production version of the NX 200t compact crossover will be shown in New York, but not during press days. In a concession to the huge Chinese market, Lexus will first show the NX at the Beijing auto show on April 20, with a same-day reveal in New York. The concept LF-NX was shown in November at the Tokyo Motor Show. The concept's sharply creased sheet metal has many wondering how much it will be defanged in production form. 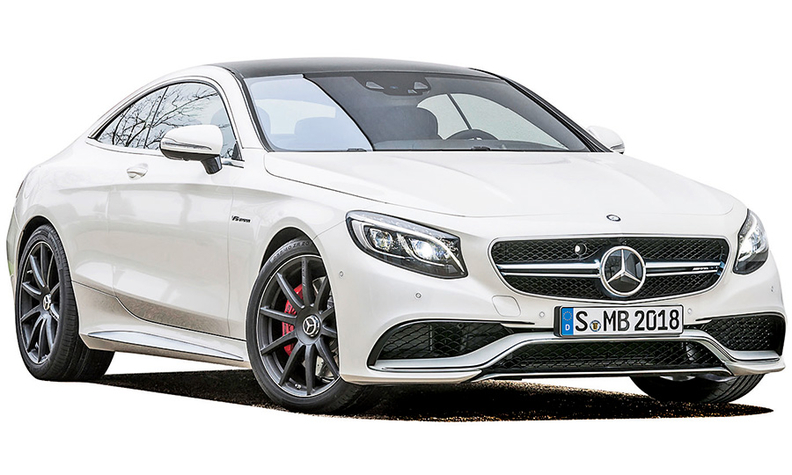 The S63 AMG coupe debuts. It is the high-performance version of the S-class coupe that was shown last month in Geneva. The S63 will go on sale this fall in the United States. The S63 is powered by a 5.5-liter V-8 biturbo engine that generates 577 hp and 664 pounds-feet of torque combined with an AMG seven-speed sport transmission. All-wheel drive will be standard in the United States. Nissan plans to unveil a new-generation Murano crossover that looks unmistakably like the racy Resonance concept it showed at the 2013 Detroit auto show. The 2015 Murano retains the pronounced body side creases and backward-sloping "floating" roof of the Resonance. By giving the vehicle angular "boomerang" head and taillights, sculpted side panels and a hidden D-pillar, Nissan aims to position the third generation to recapture the "shock of the new" impact the first Murano design had in 2002. The model also features the predictive forward collision warning system introduced by Infiniti. The Versa sedan receives light retouches for 2015, but the freshening is significant. The sedan is the U.S. industry's least expensive base-price new car. Nissan will offer more content on the 2015 model, including a new center stack and instrument gauges, and available backup camera, similar to the higher-contented Versa Note hatch. The sedan also gets new front and rear fascias. The redesigned Outback crossover will debut. The fifth-generation model will have updated styling and features, but Subaru has been tight-lipped about details. Toyota will show the 2015 Camry, a midcycle revamp that includes "very bold" sheet metal changes, stiffer suspension settings and more standard content. Normally, a midcycle change doesn't warrant an auto show reveal, but the Camry is America's best-selling car, and Toyota wants to steal a little thunder from the re-engineered Hyundai Sonata also being shown. Volkswagen will unveil the 2015 Jetta, which is getting a facelift halfway through its life span. The compact sedan gets a new fascia and more safety features. Its gasoline engines carry over, but the TDI version will get VW's new 2.0-liter EA288 diesel engine, which generates 150 hp, 236 pounds-feet of torque and improved fuel economy. Ryan Beene, Lindsay Chappell, Mike Colias, Diana T. Kurylko, Gabriel Nelson, Mark Rechtin and Larry P. Vellequette contributed to this report.